Great you made it to the last lesson in the equations chapter. You have already learned so much at this point and are so much better prepared to pass the GED but we have more to learn. As in any subject the material usally gets a little harder as you go along and math is no different. This last lesson will be on solving formula and literal equations. 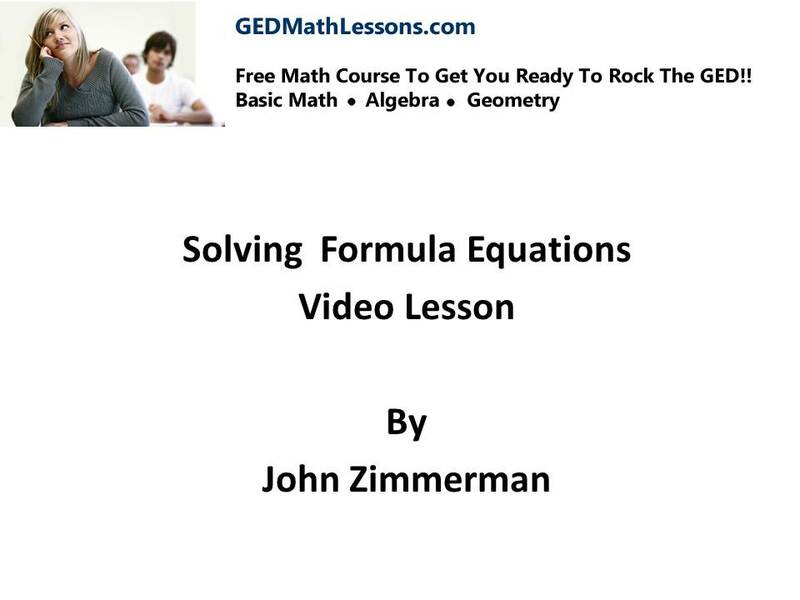 For most students this topic is hard at first but as you practice these type of equations will become easy to solve.